Recently one of our members bought to my attention this item they had received concerning the recent disaster that has befallen the Kingdom Of Nepal. As many of us are involved with the outdoors, I thought it was only appropriate to publish this page, as there are items here, that may be of immediate interest to photographers including a led day and a tripod raffle. The item has been published unedited and contains unverified links. We have had a fantastic response to our appeal for tents and sleeping bags for Nepal. A very big thank you to all who have donated.On Saturday 2nd May Ann Brooks and John Walton delivered a van load of gear to Val Pitkethly in Ripon. In just a few days we had collected 91 sleeping bags and 30 tents. On Sunday Val and her team packed and sent out 112 tents and 188 sleeping bags plus tarpaulins and blankets with the Gurkhas based in York. A further 100 tents and over 300 sleeping bags are expected to go out to Nepal this week. This is an amazing effort and our focus now is to get all of the equipment donated out to Nepal as soon as possible. The cost of freight to Nepal is approximately £2 per kg. If any person or company would like to donate towards the air freight costs we would be very grateful. Professional phototgrapher Simon Watkinson recently received the following message from a dear friend, Madhav whose home is in the Sindhupalchow district of Nepal. This district has been hit very hard by the earthquake with the last recorded death toll at 1,820, with a further 1000 people injured and a further 3000 people still unaccounted for. As you can imagine, we are desparate to help Madhav, his family and local community. Of the 60,000 homes that stood in the district, 48,000 of these have been completely flattened. Not only are these people dealing with the loss of loved ones, they now face starvation and disease with their supplies of food being lost in the devastation and the monsoon just around the corner. Simon is organising a full day out in the Peak District National Park on a photo walk to help raise money for Nepal with Simon on hand to provide tuition throughout the day. We hope to raise money by having a fun but informative day out with our cameras. The day will be aimed at all levels of photographer, so anyone wanting to gain a new skill will benefit. The day will cost £50 per person. All the money will go to helping the Nepalese people rebuild their lives. We will be starting at the Roaches at 10am before stopping for a pub lunch at the Devonshire Arms in Hartington. The afternoon will be spent in Beresford Dale and Wolfscote Dale. If you are a member of a photographic club or know of anyone that would be interested in this day please pass this message on as we would love to hear from them. Sirui have very generously given Simon an ET-1004 tripod worth £160 to help us to raise money for the cause. This is a professional quality travel tripod from a company that has taken the tripod market by storm. It comes complete with ball head and quick release plate with the exceptionally versatile Arca swiss fitting. There is more information about the tripod here. Tickets are priced at £5 each or £10 for three. Numbers will be computer generated and emailed to you once we recieve notification of tickets purchased. The raffle will be drawn at 3pm on 25th May, by drawing a ticket out at random. The winner will be contacted shortly after and announced on our media networks. Head over to Simon’s site to purchase your tickets. Finally we are dragging ourselves into the world of social media. Joking aside Facebook has proved its value over the past two weeks allowing us to connect quickly with our friends in Nepal and to keep up to date with the current situation. If you are a facebook user, please click on the link, visit our page and give us a like. John Walton has organised a Nepalese evening at Cromwells on the outskirts of Powick (near Worcester) in aid of the Himalayan Trust UK’s Earthquake Appeal fund. John recently ate there and was so impressed with the food and the Nepalese staff he has booked the whole restaurant for the evening of Sunday 21st June for a fundraising meal in aid of the Himalayan Trust UK’s Earthquake Appeal. The timings are 7.00 for 7.30 and the cost of the evening is £25, not including drinks. A set menu, buffet style, will be provided. There is a limit of 70 places, so please book yours as soon as possible. Ann and Simon will be traveling to Nepal at the beginning of June. We will be taking with us as many supplies as we can in our kit bags. There is a huge need for medical supplies. If anyone can help with obtaining any of the following for free (or very cheap) we would be immensely grateful. Any medics or drug reps who really want to help should check out the following link on the Operation Relief Nepal site with regards medical supplies that are urgently required. 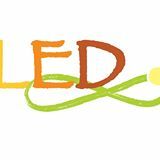 Val Pitkethly, the founder of LED has been coordinating the collection and shipment to Nepal of tents, sleeping bags and any kind of water purification system. Administered by volunteers, the aim of LED is to provide low-tech solutions to 3 basic needs: cheap affordable lighting, basic education and healthcare. These will help the economic development for the poorest people in these regions. Operation Relief is a joint effort between FNCCI (Federation of Nepalese Chambers of Commerce) and a number of organizations and individuals collaborating for providing relief to earthquake victims in Nepal. Please support the Gurkha Welfare Trust during this difficult time as they look to deal with the aftermath of the disaster and ensure the wellbeing of Gurkha veterans, their families and communities.